Breadwinners and Bedwetters will not sell or disclose your name, email address or other personal information to third parties without your explicit consent, except as specified in this policy. Breadwinners and Bedwetters may require additional information, such as billing and payment information (including billing address, telephone number, credit card information), a telephone number, and/or a physical address. Credit card information on an account may be stored and used for billing purposes. Breadwinners and Bedwetters automatically receives and records some information from your browser when you visit the site, such as your IP address, cookies and data about which pages you visit on the site through the use of log files provided by our third-party tracking-utility partners. This information helps us analyze and understand how the site works for customers and visitors, and provide a more personalized experience for members and visitors. Breadwinners and Bedwetters may receive or collect information (for example: email address) about a person who is not yet a registered Breadwinners and Bedwetters customer in connection with certain Breadwinners and Bedwetters features, including but not limited to: a non-customer subscribing to a Breadwinners and Bedwetters newsletter or a non-customer asking us a question. Breadwinners and Bedwetters uses the information described in this policy to provide and improve our services, for billing and payments, for identification and authentication purposes, to contact members or interested parties, and for general research and aggregate reporting. We want you to have control over your own information, so Breadwinners and Bedwetters gives you the choice of providing, editing or removing certain information. You may change or correct your Breadwinners and Bedwetters account information at any time, such as your email address, phone number or credit card information. For various reasons, Breadwinners and Bedwetters may contact you about our services or your activity. Some of these messages are required, transaction-related message to customers. Other messages are not required, such as our newsletters, and you can control which optional messages you choose to receive by changing your settings in your account. If you no longer wish to use Breadwinners and Bedwetters services or receive service-related messages, please contact our support team. In order to fulfill orders and keep you informed, Breadwinners and Bedwetters will contact you. Typically, messages are delivered by email, and every account is required to keep a valid email address and phone number on file to receive messages. In some situations, Breadwinners and Bedwetters may contact you by telephone or physical mail in order to provide you with information about products and features you my find of interest or to provide you with customer support. You may update your contact preferences in your account settings. Some messages from Breadwinners and Bedwetters are service-related and required for customers. Examples of service-related messages include, but are not limited to: a welcome/confirmation email when you register your account, confirmation of your order, or correspondence with the Breadwinners and Bedwetters support team. These messages are not promotional in nature. You may not opt-out of receiving service-related messages from Breadwinners and Bedwetters, unless you close your account. As a customer, Breadwinners and Bedwetters may also send you messages related to certain features on the site or your activity. Breadwinners and Bedwetters may also send you news or updates about changes to our site or services. By default, customers will receive these messages via email, but you may choose to opt-out of getting certain emails under your account settings. Breadwinners and Bedwetters offers optional email newsletters. When you register for an account, or choose to subscribe, you will receive newsletters from us. Newsletters are available to both customers and non-customers. Customers may subscribe or unsubscribe from optional newsletters under your account settings or by following the instructions contained in the newsletter emails. Non-customers may subscribe by providing an email address. Non-customers may unsubscribe from newsletters by following the instructions contained in the newsletter emails. Breadwinners and Bedwetters will never sell or disclose your name, email address or other personal information to third parties without your explicit consent, except as specified in this policy. Breadwinners and Bedwetters may release your personal information to a third-party in order comply with a subpoena or other legal requirement, or when we believe in good faith that such disclosure is necessary to comply with the law; prevent imminent physical harm or financial loss; or investigate or take action regarding illegal activities, suspected fraud, or violations of Breadwinners and Bedwetters Term of Use. We may disclose personally identifiable information to parties, as we in our sole discretion believe necessary or appropriate in connection with an investigation of fraud, intellectual property infringement, piracy, or other unlawful activity. In such events, Breadwinners and Bedwetters may disclose name, address, country, phone number, email address and company name. We can only speak for ourselves; this policy does not apply to the practices of third parties that Breadwinners and Bedwetters does not own or control, or individuals that Breadwinners and Bedwetters does not employ or manage. If you provide your information to others on Breadwinners and Bedwetters or throughout the Internet, different rules may apply to the use or disclosure of the information you provide to them. Breadwinners and Bedwetters does not control the privacy policies of third parties, and you are subject to the privacy policies of those third parties where applicable. Breadwinners and Bedwetters is not responsible for the privacy or security practices of other websites on the Internet, even those linked to or from the Breadwinners and Bedwetters site. We encourage you to ask questions before you disclose your personal information to others. Breadwinners and Bedwetters uses a variety of technologies to help us better understand how people use our site and services. Breadwinners and Bedwetters may partner with third-party services that may use various tracking technologies, such as browser cookies or Flash cookies, to provide certain services or features. These technologies allow a partner to recognize your computer each time you visit Breadwinners and Bedwetters, but do not allow access to personally identifiable information from Breadwinners and Bedwetters. Breadwinners and Bedwetters does not have access or control over these third-party technologies, and our privacy statement does not cover them. Breadwinners and Bedwetters will retain your information only for as long as is necessary or your account is active or as needed to provide you services. If you no longer want Breadwinners and Bedwetters to use your information to provide you services, you may close your account. Breadwinners and Bedwetters will retain and use your information as necessary to improve your experience with our products and services, comply with law enforcement and resolve disputes. You may inform us of any changes or requests in regards to your personal data, and in accordance with our obligations under local data protection law, we may update or delete your personal data accordingly. Breadwinners and Bedwetters reserves the right to modify this privacy statement at any time, so please review it periodically. We’ll communicate changes by posting a notice on the site. If we make material changes to this policy you will be notified here, by email, or other places Breadwinners and Bedwetters deems appropriate. 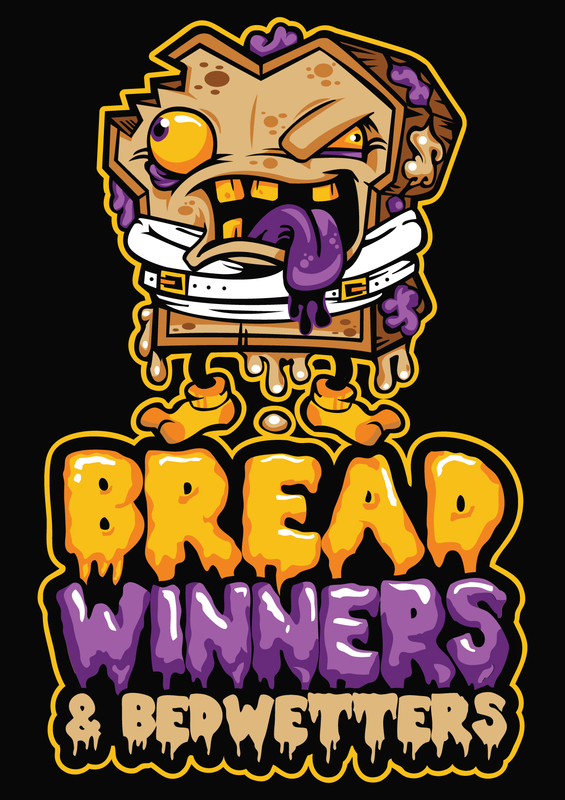 If you have questions or suggestions you can contact Breadwinners and Bedwetters support team by sending an email to winnersandwetters@gmail.com.